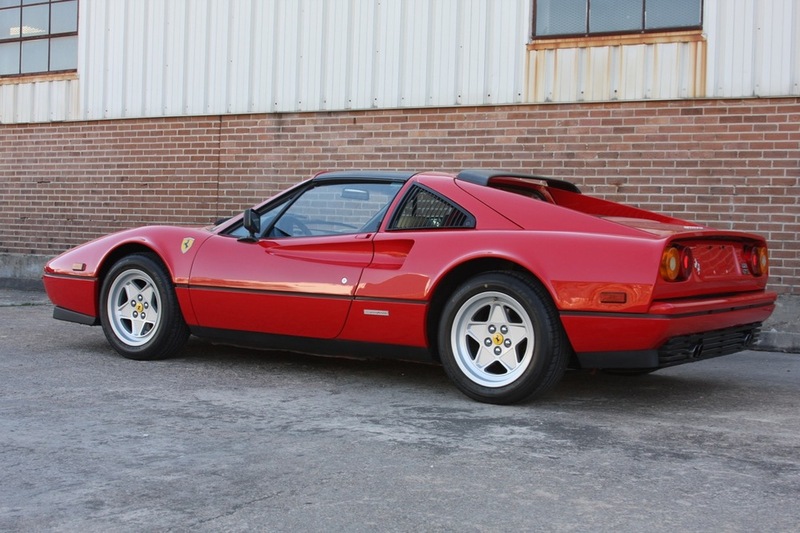 I am very pleased to offer this 1988 Ferrari 328 GTS. 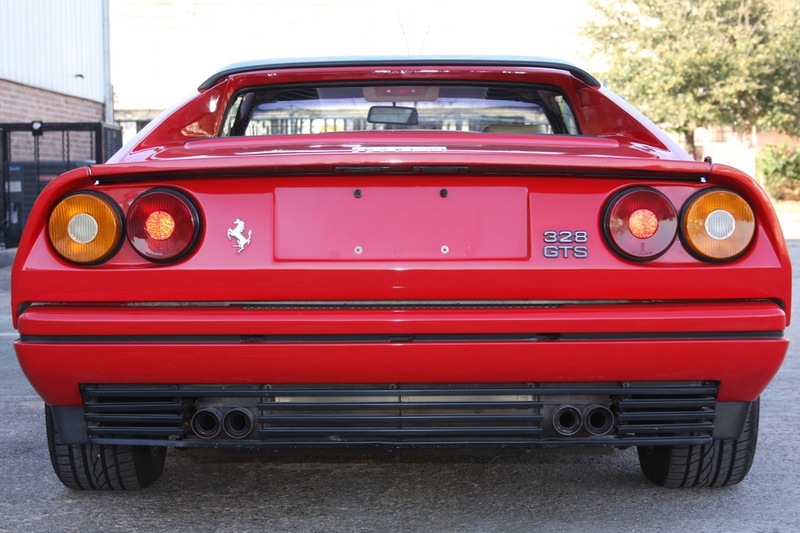 In a very elegant and classic color combination of Rosso Corsa over Beige interior, this 328 has only covered 30,000 miles in its lifetime. 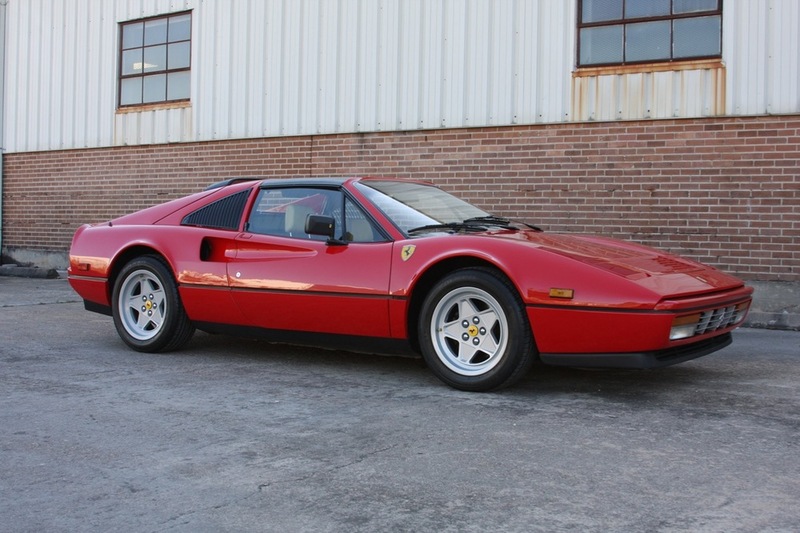 This car came to me on consignment from its current owner, a prolific collector of classic and exotic automobiles. When he purchased the car in 2014, he took the car to Moorespeed in Austin, Texas, for a full mechanical refresh, including changing all fluids, a full brake service with replacement as necessary, new fuel and coolant hoses and lines, and various other miscellaneous services. The last timing belt change was done in 2012 by the previous owner, so a timing belt change was deemed not necessary at that time. Service records before this date back to 1990, almost to when the car was purchased new, detailing its full mechanical history. The paint is in excellent condition, having been extensively detailed by the current owner, only showing the expected small rock chips and other imperfections commensurate with the car's age. The interior is also in original condition, displaying a lovely patina. 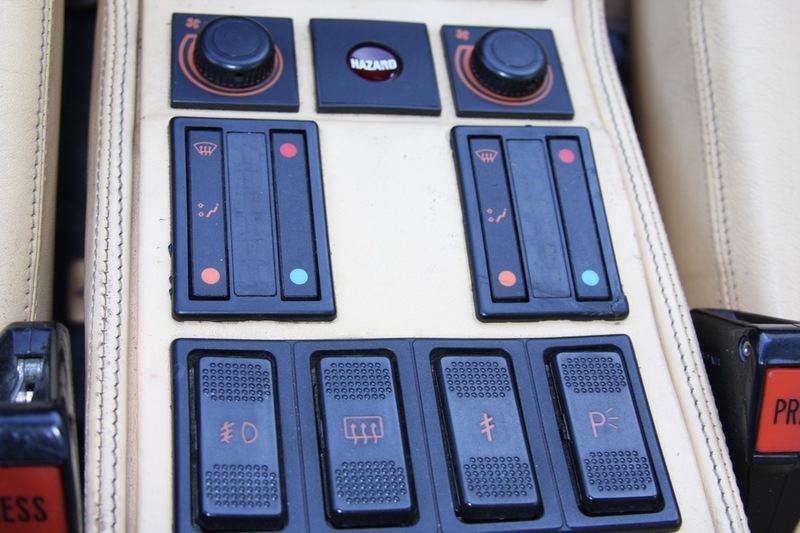 Previous owners have made very small reversible modifications and additions, such as the chrome shift knob, a period stereo system and radar detector, and the side shields. The steering wheel currently installed is not original, although the original steering wheel is included with the car. 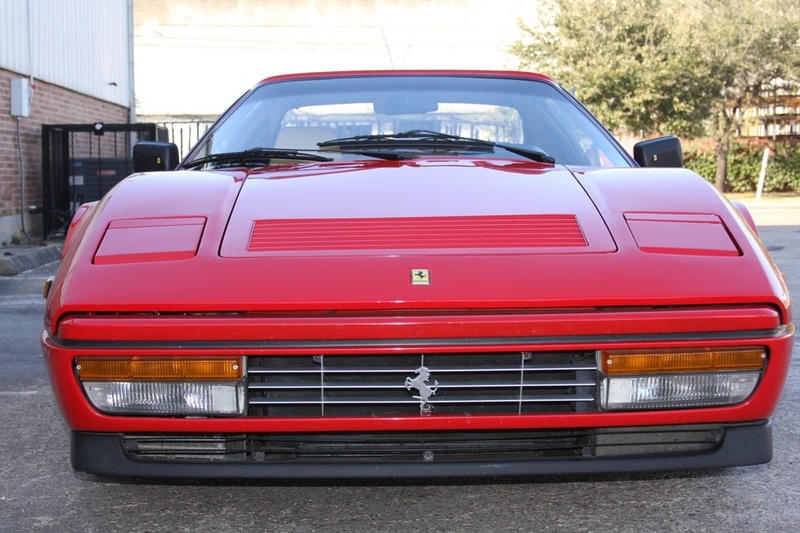 This car is one of the last "early 1988" 328s before the 1988.5 changes, and it does include some transitional parts of the 1988.5, such as the side mirrors with the Cavallino Rampante, the redesigned inner door handle and armrests, and the gas shock for holding the front compartment lid open. 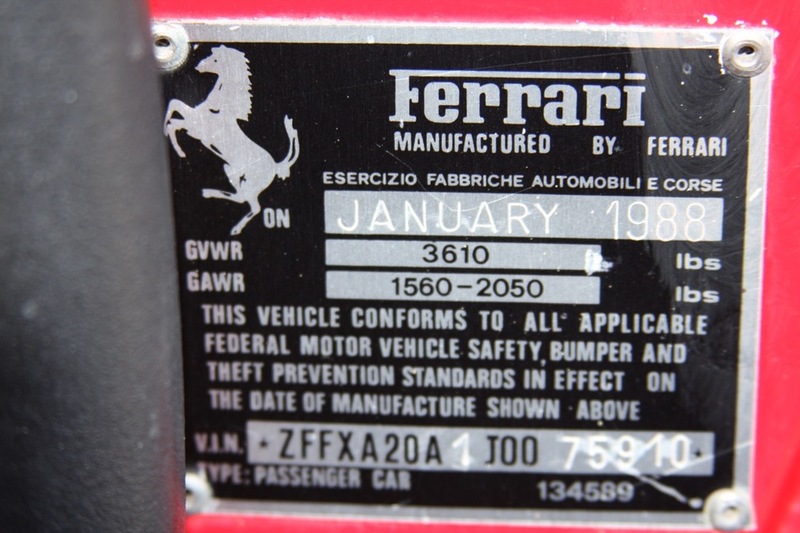 Many 328 enthusiasts prefer these 1988 cars, given that they have all of the running improvements of the 308/328 series, but do not have the ABS brakes and convex wheels of the 1989 cars. 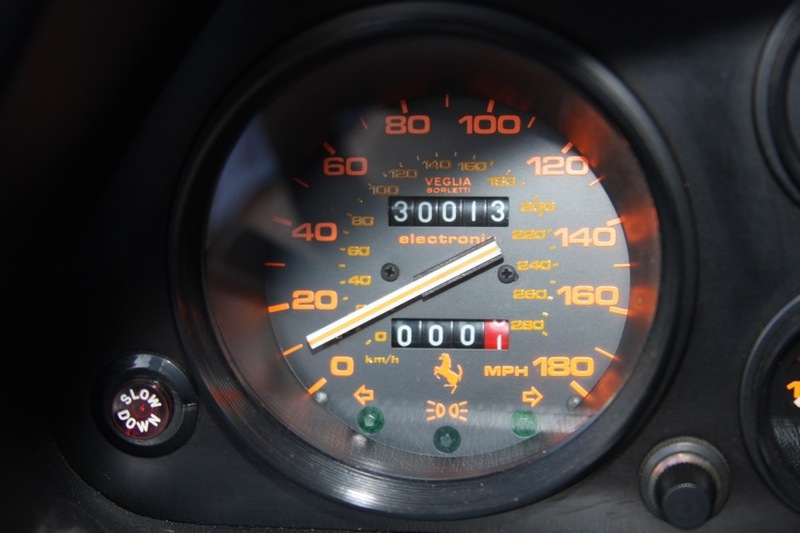 Finally, the Carfax report for this car (linked above) does show a small discrepancy in the reported mileage early in its life, probably due to a simple typo. 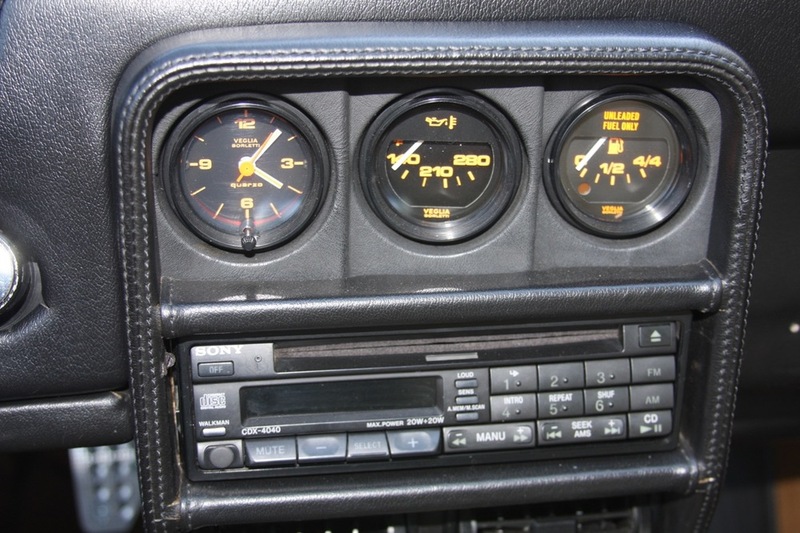 However, the original condition of the exterior, interior, and mechanicals of this car support its displayed mileage, and I encourage your comprehensive inspection. The car is now ready for its next owner, and should provide years of enjoyment.. 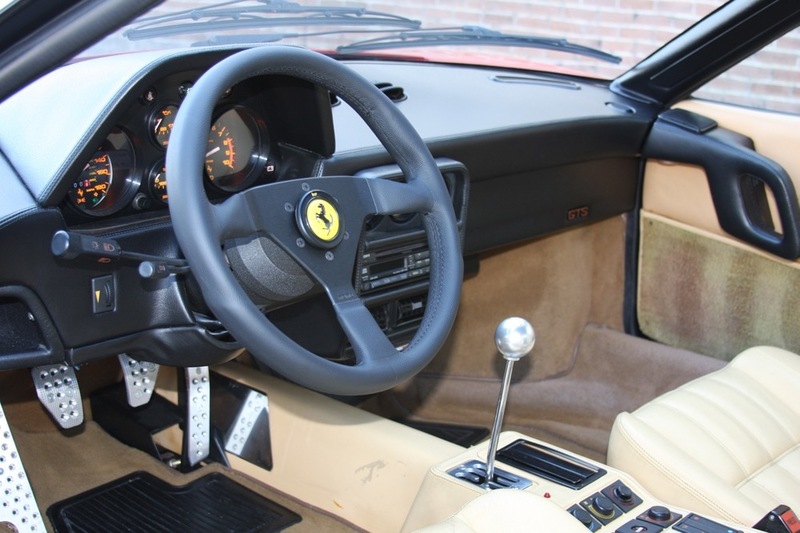 The Ferrari 328 is a rapidly appreciating modern Ferrari classic, and finding one that has a full service history and in original condition is truly special. I look forward to discussing this 328 with you. For more information, please contact Michael Foertsch at michael@mbrandonmotorcars.com or 832-617-0494.